“We have updated and refreshed the website to replicate the service and product knowledge that is already the norm in our shops. We want our online customers to get that same quality experience,” said Murdock’s Digital Marketing Executive, Richard Reynolds. 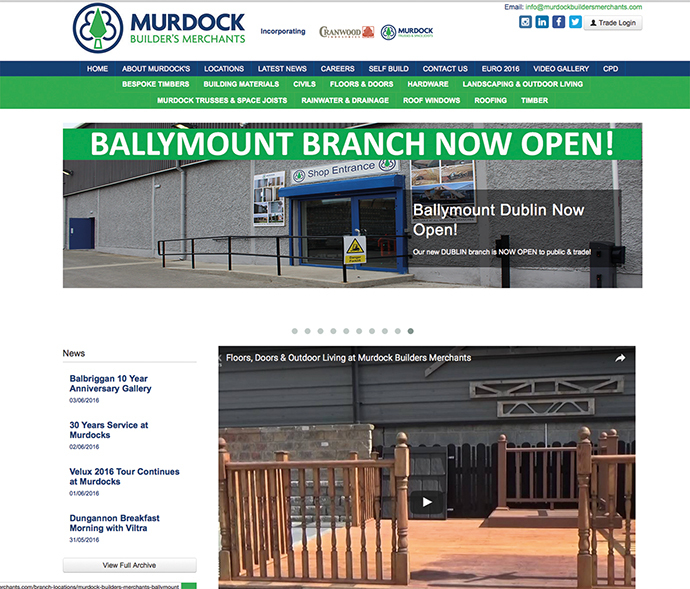 The website is fully interactive with Murdocks’ other social media outlets and is fully optimised for mobiles and tablets.